CHS Consulting Group would like to welcome three new staff members to our growing team: Siqing Yi, Frank Feng, and Nate Seeskin. Both Siqing and Frank come to CHS from UC Berkeley. 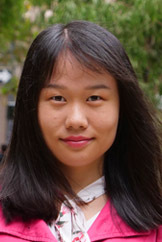 Siqing earned a MS in Transportation Engineering. Previously, she had received a Master of Urban Planning degree from Texas A&M University and has interned with CHS since summer of 2017. 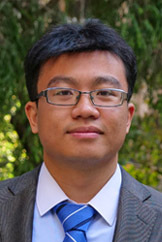 Siqing’s academic research covered Bus Rapid Transit, rail transit, shared mobility, smart card data, active transportation planning, and freight planning. Frank earned a Master of Science in Transportation Engineering. Frank interned with the San Francisco Municipal Transportation Agency, and worked as a field engineer for NTK Construction. Nate joins us after receiving his Master of City and Regional Planning from the University of North Carolina. 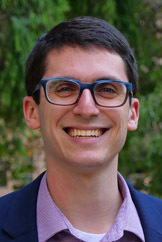 For his Master’s project, Nate worked with the San Francisco Municipal Transportation Agency to analyze demographic data behind traffic calming requests, concluding that privileged communities are more likely to request traffic calming measures than poor communities.